Hi, everybody! Even though March means that we’re coming to the end of this DT term at Some Odd Girl, we still have a lot of fun planned for you, including TWO clear stamp releases! I’ll have something for all you geeky gals tomorrow, so make sure you stop by! 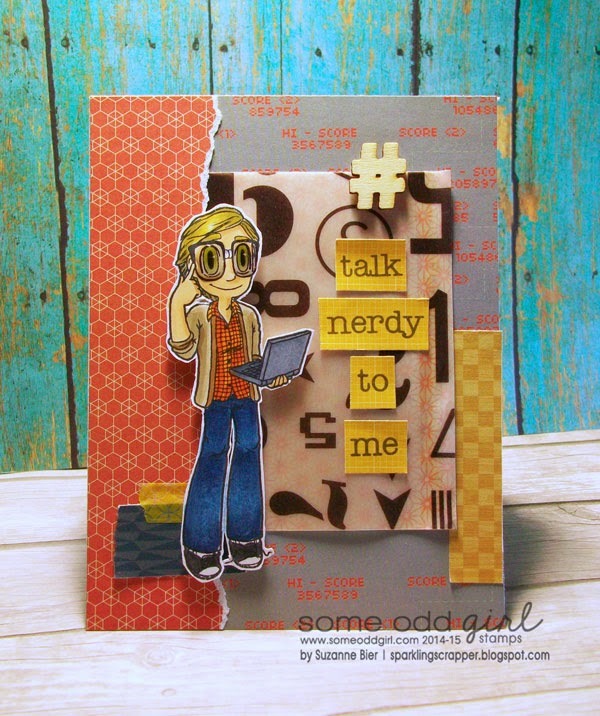 For more inspiration from the Odd Girls using Nerdy Kody, visit the Some Odd Girl blog! Thanks for stopping by today! I hope your week is off to a wonderful start!